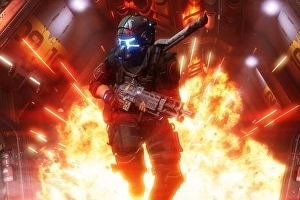 There’s an element to Titanfall 2’s campaign that’s really surprising, and I am not referring to the fact that Titanfall 2’s campaign is actually good. Like so many of the sections in Titanfall 2, this part of the story introduces a novel gameplay mechanic, then lets you play around with it for a while before moving on to the next one. What was really interesting about this section, however, was not so much the mechanic itself as the reaction it prompted in me. In order to do it justice however, I’m going to have to spoil this section of gameplay fairly substantially. If you haven’t played Titanfall 2’s campaign and in any way care about having one of the most interesting sections spoiled for you, you should turn away now. From the next paragraph onward, pilot, you’re in spoiler country.